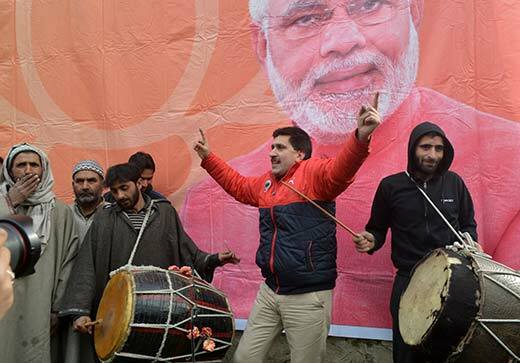 Altaf Thakur (centre) celebrating BJP’s victory in 2014 Assembly polls. The party had seriously considered the name of Choudhary Lal Singh as one candidate from Udhampur seat but it was dropped. Singh, has been unhappy with the party leaders and is reportedly contesting both the Jammu seats, a report in Greater Kashmir said.